This is the second website that Web Empire is designing for my company. I’m extremely satisfied with TWE's services. You should also check the SEO service. I used them for my second site and the results where amazing. Thank you! 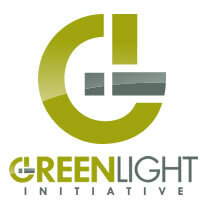 Greenlight Initiative has gone through 3 major website redesigns since 2006. Using different companies for each, we have had mixed experiences in the past. For our company, building a website is more than just creating a template, or using it as just an online copy of our business card. We have very specific goals and expectations, and essentially need our website to do two things: educate our clients, and generate new business. As a company in a growth industry with clients throughout the US & Canada, lead generation from the proper target audience is also critical. When i first met with John and his team - it was instantly clear that they get it. The Web Empire Team understood what we wanted, why we wanted it, and when we wanted it. They were able to explain what does and does not work TODAY, and also what we can expect TOMORROW. This is because they understand marketing, and more importantly business, and how they operate together in the real world. We believe that The Web Empire delivered more than expected, without outsourcing our website to some boiler-plate firm overseas that may speak code well, but not the language that our customers do. We were so impressed with the results, they are the first firm that we kept on retainer for monthly maintenance and SEO services. Great work at a fair price, with results that exceeded our expectations - what more could be asked for? The Web Empire continues to impress us, and we are happy to consider them a part of our team. I have been searching for a web designer for some time. I did not want to fall into the marketing trap of many "web designers" that are out there looking to make a quick buck and disappear. I found The Web Empire through another satisfied customer of them and when I called, I knew I found someone that was different. John is very professional and knows how to guide you in the right direction, even before he gets the account. John has been extremely patient with me, especially since I am very particular with details. He takes pride in what he does and has a vision that extends far beyond just making a website. His goals, when creating a website, are long term and he took great pride in helping my company develop an online visibility and social identity. 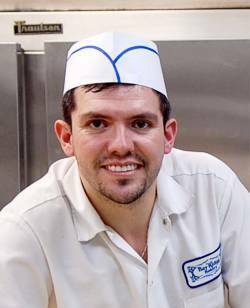 Together, with my passion and experience in the pastry arts, and John's commitment to me as a customer, I am confident that we will have a long and productive relationship. I would recommend The Web Empire without any hesitation!" I own an acting school in New York City. I love what I do but my internet and business skills are sorely lacking. 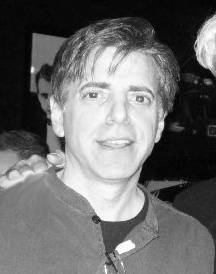 John, and his team at The Web Empire, have taken over almost all aspects of my online presence. They understand my needs and the type of students and working professionals I wish to attract. The clever interactive design of my website, excellent SEO and social networking strategy, and their 24/7 availability have helped the “business” aspect of what I do thrive -while also allowing me to maintain my artistic integrity. The Web Empire has allowed me to focus more on what I love to do. John Varsamis has been such a pleasure to work with; he's honest, efficient, resourceful and most importantly down to earth and makes you feel at home -- like you're talking to an old friend who actually has your business's best interest at heart. We are delighted that The Web Empire has taken on creating and managing our Foundation's website because we trust that they will always represent us in the best light possible, which is truly amazing. John is definitely a rare find; you will be hard-pressed in business these days to find someone as nice and as loyal as him.We highly recommend him for the exceptional level of integrity he maintains for himself and the company. The Web Empire designed my website for my business and I also use them for IT services. I am extremely happy with the design of our website and it’s easy to navigate. Whenever I have a question I don’t hesitate to call and I always receive an answer in a timely matter. I would definitely recommend The Web Empire’s services. After trying several different web companies for the last several years, I came across Web Empire from a friend.My website is absolutely beautiful!But the greatest part is the navigation. It is super easy to view orders and update web pages.TWE also does my hosting and at such a great price. John is very helpful and always attentive to the needs of my business.They also make strategy recommendations that benefit my shop.I am very satisfied with The Web Empire and highly recommend them for any of your business needs. I interviewed 14 firms when deciding who to work with as a developer and am truly grateful to have chosen TWE. Through the course of intensely working with his team for the past 3 months, John has become a genuine friend. Not only have all my development needs been met, the key competitive advantage of TWE is the invaluable strategic insight they also provide. My project is treated as the highest priority and deadlines are never missed. Not once. Furthermore, the site was architected in a way where future needs and expansion are top considerations in every decision. TWE is a pleasure to work with; I continue to work with them and will within the foreseeable future. I wholeheartedly recommend this firm, and have already to friends and colleagues alike. The Web Empire create my complete web marketing presence for my company. They did the videos, photography, design, blog, even my facebook and twitter page. They created an application for my clients and they also re-brand my project. Trim Med is now ready more than ever for the new era, and the results of this important step are showing every day. Thanks for all your help and your passion. The full service I've got from TWE was extremely professional and value added to my business. SEO helped us appear at the 1st page of Google with all the requested keywords. Website layout is now clean and user friendly. I've seen 20 times more traffic in less than 3 months, and my business growth is more obvious than ever. Thank you!